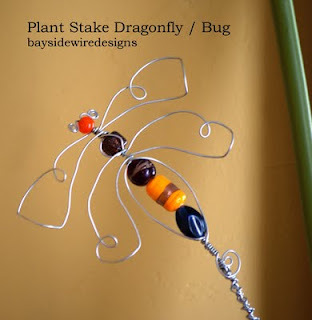 Dress up your garden, your pond or your flower pots around the deck with these fun and whimsical Dragonfly Garden Stakes. Each one is unique in design and color with colorful, glass beads. The Dragonflies are approximately 4-5" with hand weaved wire stake measuring about 15" or so. Save 15% on these with coupon code: SPRINGSALEBAY at checkout. Click on picture below for more info.